The revamp lets the data visualization company expand in the bustling neighborhood where it also has its headquarters. 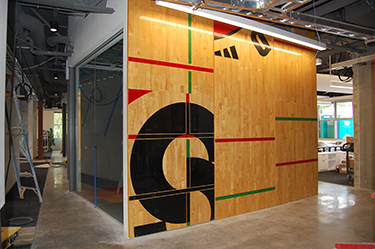 Wood from the basketball court was used for walls and flooring because Tableau wanted to retain the building’s character. 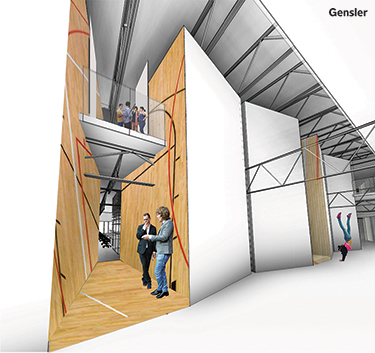 A two-story atrium between the mezzanines lets people see what’s happening on other floors.